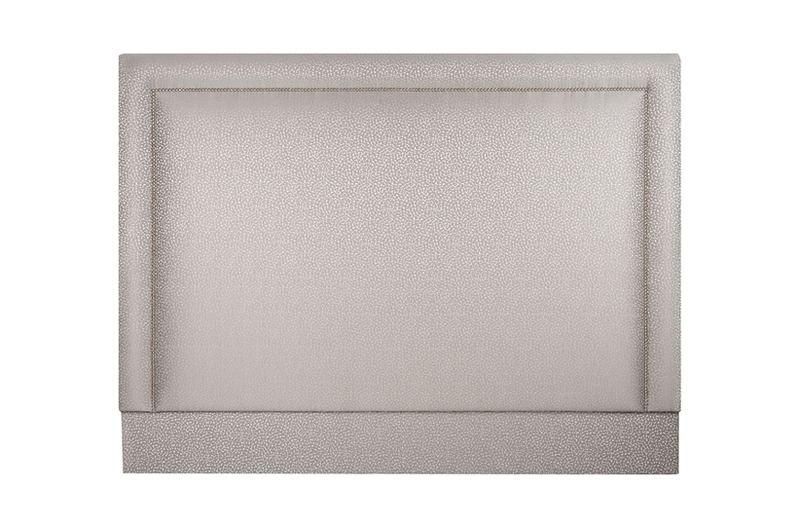 London Nailhead Upholstered Headboard covered in your choice of fabric and finished with nailhead trim. 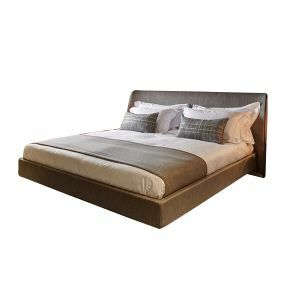 Its tailored look adds a splash of sophistication to any bedroom. 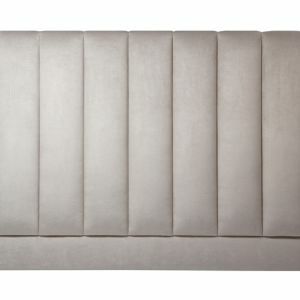 Clean lines and lustrous nail heads give this upholstered headboard an air of sophistication while upholstered headboard creates a classic look with a cozy, inviting vibe. Accentuate a crisp white comforter or boldly patterned duvet with this nailhead upholstered headboard, showcasing hand-tacked nailhead trim. Give your stylish bedding a worthy backdrop with the on-trend London Headboards. Chic upholstery options let you make it your own, and hand-crafted nail head trim lends this piece a hint of glam. 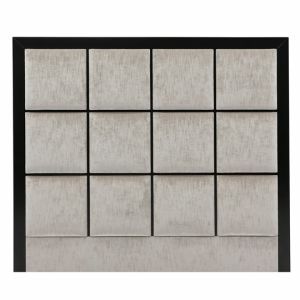 Beige pale rose color soften the look, while a solid wood reinforcement bar ensures stability. London Headboards are the perfect home accessory for adding the finishing touches to your bedroom. Have fun adding personality, style and comfort to a room with your choice of colourful quality fabrics. London Headboards has a wide range of headboards for every room, as well as bed wall panels. Give your bed a finishing touch. 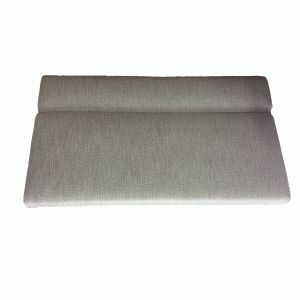 As the perfect accompaniment for your soft furnishings, each headboard pad comes filled with quality firm foam, giving a back support when sitting up.